I was hesitant to comment on the recent news about Rob Bell from The Huffington Post because I don't think that it should have surprised anyone. Was anyone assuming that Rob Bell was a "traditionalist," against gay marriage? I wasn't sure how newsworthy it really was that Rob has come out as clearly as apparently he has. It's noteworthy whenever someone with so much influence supports this kind of social reform, especially when their influence reaches so broadly within evangelicalism - the part of the church which in infamously inflammatory against the gay community. 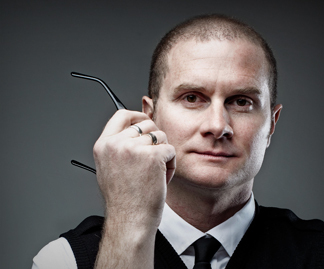 Personally, I'd always speculated as to what was actually keeping Rob Bell from "coming out" as he has. I had mixed feelings about his relative silence on the issue. Part of me respected his willingness and ability to stand in the boundary without taking a strong stance, to keep his focus on the gospel of Jesus without assuming the responsibility of solving every problem, and to listen carefully to the still-ongoing conversation regarding the ethical legitimacy of homosexuality. You also have to remember that, as a Pastor, he had a responsibility to his own church community (I can relate with this one... when I worked at a church I had to hold my tongue on a few issues for the sake of my congregation). But another part of me was frustrated with him. "The ship has sailed..." I wanted to say, "how can you stand and watch other Christians say and do such terrible things to our gay family without speaking up?" I've heard Rob Bell field questions about gay marriage and homosexuality before. He's always emphasized the responsibility to love and to remember that all people are created in God's image. But this is the first time, to my knowledge, that he's verbally supported gay marriage with this kind of clarity (I think he came pretty close last Summer at the Viper Room). I think that this is a good sign for evangelicalism... it's a sign that people are becoming more important to us than our stances and dogmas. We're allowing reality, and the stories of the people around us, to penetrate our hearts and to inform our reading of scripture. This is healthy because we weren't created to be alone... and the scripture was never meant to be read in a vacuum. Rob Bell is one of many examples which show that a primary concern for the gospel of Jesus Christ and a compassionate response to the human situation are not mutually exclusive positions... in fact, the latter can (and should) proceed from the former.